Curling Wand - I have this curling wand and it's amazing! This set also gives you hair clips (which are amazing and truly hold your hair), texturizing spray which is great for tousled waves, my favorite hairspray, sea salt spray, shine mist, and voluming shampoo and conditioner! That's a lot! Foreo Luna - I think the luna is amazing, and I use it every day to keep my skin clear. This set comes with the tiny travel sized one, which is so cute! T3 blowdryer- T3 is basically the name in hair dryers, and the sale has this one on sale for over $60 off. Charlotte Tilbury Pretty Glowing Skin Palette - This palette comes with my favorite highlighter and contour duo, a setting powder and lovely blushes. All of Charlotte'l makeup is amazing, and the blushes are no exception! At $75 this palette is a great bargain. 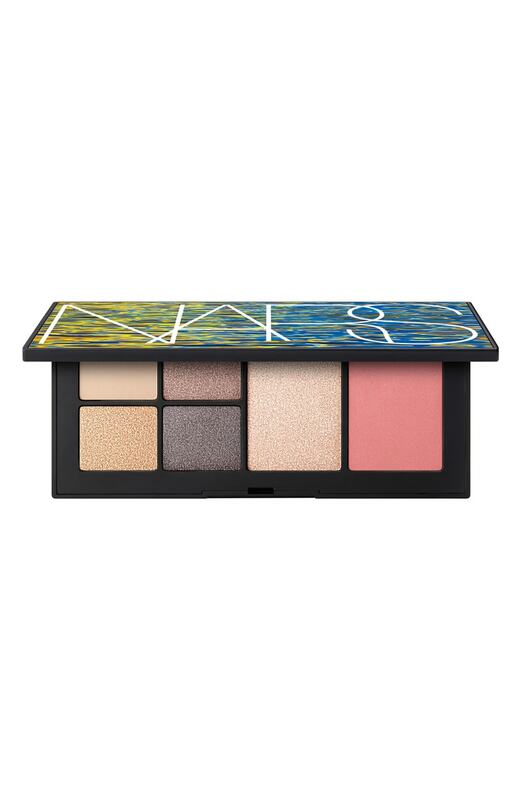 Nars Hot Escape Eye & Cheek Palette - It has 4 lovely eyeshadows, a highlighter and a blush. The shades are very pretty for summer and fall too! GHD straightener - GHD makes amazing straighteners. I love mine, it makes my hair so straight and shiny even in extreme humidity. It's on sale at the sale for over $80 off too! Purity Trio Set - These face washes smell amazing! Landcome Mascara Set - You get the great eye makeup remover, a full-size Définicils High Definition Mascara in Black, a full-size Cils Booster XL Super-Enhancing Mascara Base, a full-size Monsieur Big Mascara in Big is the New Black and a monsieur Big Waterproof Mascara in Big is the New Black. That's basically a years worth of mascara! 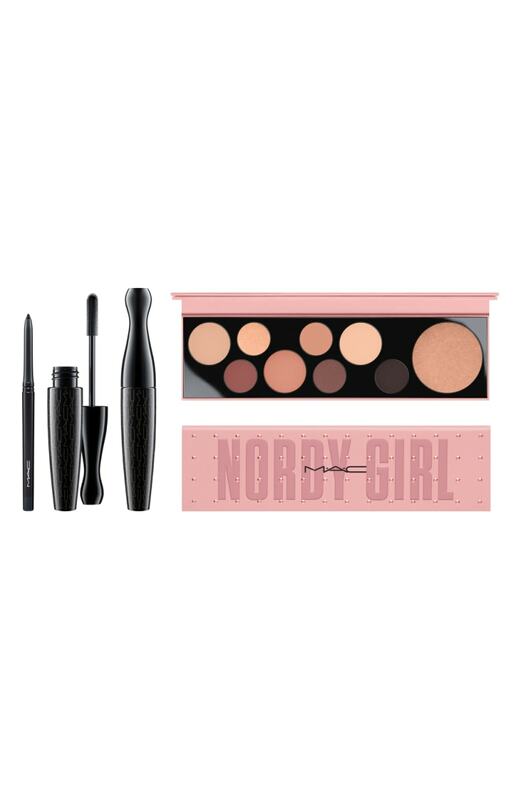 MAC Nordy Girl Matte Face & Eye Set - how cute is the name?! It comes with a lovely eyeshadow palette, eye liner and mascara. 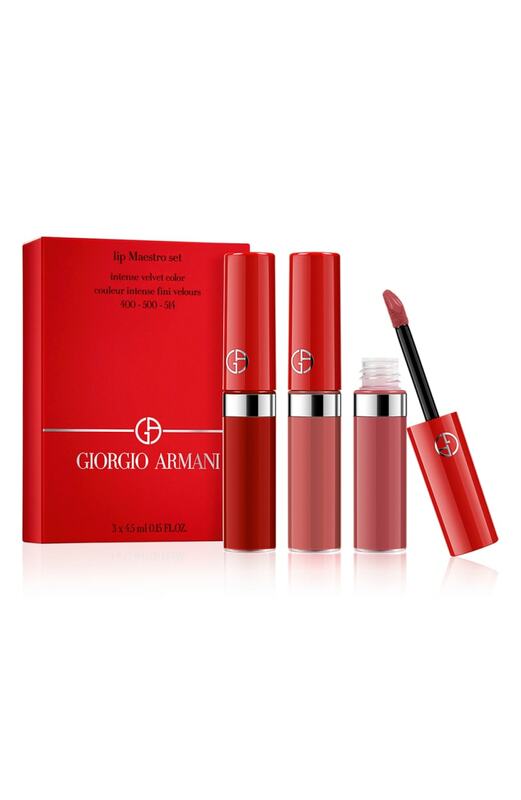 Giorgio Armani Lip Maestro - The set comes with red, blush and "the row." Ive heard amazing things about these lip colors and can't wait to try them! What are your favorite deals from the sale?